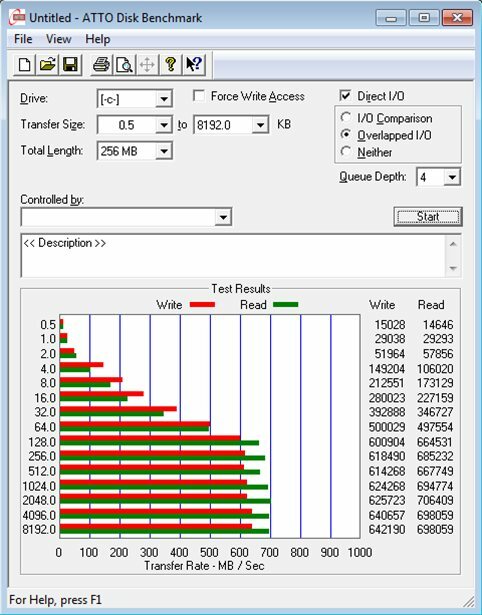 Which SSD Drives should I use? I picked the OCZ Vertex 2 60 GB SSD drives. The prices for these drives finally came down to something reasonable. So I bought 3 of them off newegg. Price $139.99 each. Each drive came with a 3.5" mounting bracket. Overall the construction of the mounting bracket and drives is good. However if your computer case uses its own quick mounting rails, you might need to find longer screws than what is provided. Before you setup your RAID array be sure to update the firmware on all the drives. You can visit the OCZ website to download the latest firmware. The drives came with firmware v1.10. Its important you update each drive to the latest firmware which at the time was v1.23. Updating the firmware was a little tricky. Here are the steps that worked for me. 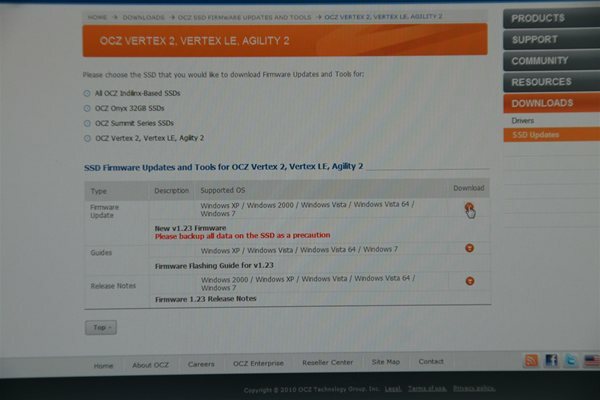 Download the new Firmware from the OCZ website. After the update program detects your drive, go ahead and update it. In my case flashing the new firmware seemed to get stuck at sector 850. Just be patient, after a few minutes your system will reboot. Use the firmware update tool to verify your drive now has the updated firmware. Then repeat the process for any additional SSD drives that need to be updated. You have to update them individually. Now that my SSD drives are updated I installed them in my system. Then I rebooted my system to get into the bios based ICH10R Intel SATA RAID manager. From here I was able to setup my RAID 0 array. I setup my array with a 128 Strip size. 3 x 60GB OCZ Vertex 2 SSD drives Configured in RAID 0 using the Intel ICH10R Sata Controller that comes built in to the ASUS P6T Deluxe Motherboard. CPU was the Intel Core i7 920 2.6 Ghz. 6 GB of 1600 Mhz DDR3 RAM. How does this compare to my old Array? 4 x 146 GB Fujitsu SAS RAID 0 Array on an Adaptec 4805 256 MB Cache RAID Controller. It depends on how much you value every second of your day. In my opinion they are worth it. Waiting for my old SAS RAID 0 array to spin up coming out of sleep would take 30 seconds. With the SSDs there is no delay. Programs open instantly. Anything that is disc intensive runs much faster. The almost 0 latency is very obvious with these drives. I am considering expanding my array to a 4th drive to see what kind of speed I can get out of my array. I am waiting on a RAID card that is made specifically for SSD drives. 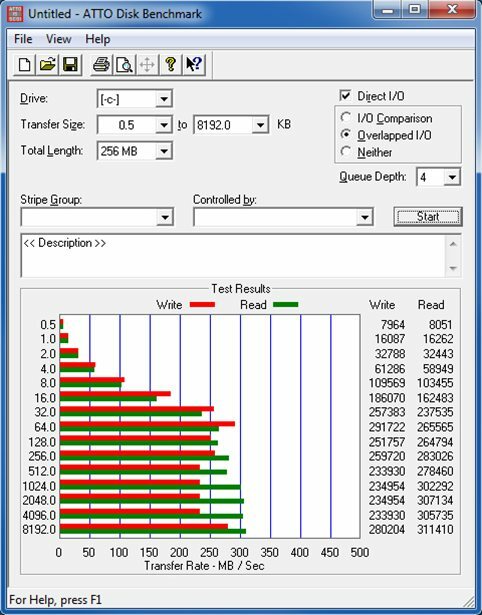 As all the current raid cards do not support some of the advanced features of Windows 7 such as Trim that help to extend the life of your SSD drives. I am running my raid array with both hibernation and the page file disabled, to help reduce the unwanted writes to my SSD array. Nice article. I have this motherboard and one of the vertex 2 60gb drives, very quick on most things I do but after seeing the speeds you're getting I'm really tempted to get a few more. Share your concerns with the Trim/RAID issue tho. yeah one of the downfalls to running SSDs in RAID is you loose the ability to enable Trim Support. None of the motherboards on the market today have the ability to pass TRIM commands through a RAID array. There are some very high end RAID controllers that claim they support TRIM for SSDs, but from what I have seen the price is not cheap. Just make sure when you setup your SSDs, you disable all the crap windows usually runs that would cause lots of writes. This means to disable Page File, and Hibernation. Just make sure you have at least 2 x the memory that you will ever need. Example if you will never go above 8 GB of memory, make sure your system has at least 16 GB. Windows will hit you with popup error messages if you have the page file disabled and go above 50% memory usage. In the future I plan to do a full writeup on how to properly configure a Windows 7 system if you plan to run RAID on your SSDs. I am currently very tempted to upgrade to the 2nd gen intel i7 with a newer motherboard that supports SATA III. Then I would run 2 of the Vertex 3s in Raid 0 for read / writes in access of 1 GB/sec. I am just waiting for a smaller vertex 3 to hit the market before making this upgrade, As I really only need 160 GB total storage.